Get familiar with the fantastic features and functions of your Janome HMC15000. We’ve chosen a demonstration format for this class so bringing your machine is optional. Meets the first Tuesday of every month. 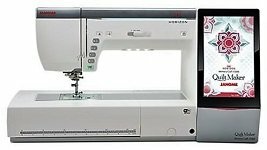 Open to owners of Janome 15000 machines.